There are only a couple things you should be worrying about when warm weather is upon you: the forecast, and directions to the nearest body of water. Whether your water resistant watch is going to crack under the pressure of your next dive, shouldn’t be one of them. And even if the deepest dive you’ll take this summer is plunging off the side of the boat, an automatic dive watch is going to put the ‘fun’ in functionality with precision accuracy and killer looks. Here, we’ve rounded up just a handful of our favorite dive watches. They’re guaranteed to withstand the deepest depths and look great while doing it, too. The matching striking blue face and bezel of the Omega Seamaster Diver 300M are as deep as the ocean depths it can reach. The self-winding chronometer is also outfitted with a screw down crown, a scratch-resistant and anti-reflective sapphire crystal and sturdy stainless steel base and bracelet. As you can guess from the name, this timepiece will take you to depths of 300m (1,000 feet), but the highly-visible luminous face allow the wearer to measure diving times and decompression stops. A mainstay in any aquaphile’s collection, and it’s definitely one of our favorite dive watches. Besides the fact that this watch can withstand depths of 12,800 feet — far deeper than a human or submarine has reached — the stunning face of the timepiece is a feat itself. 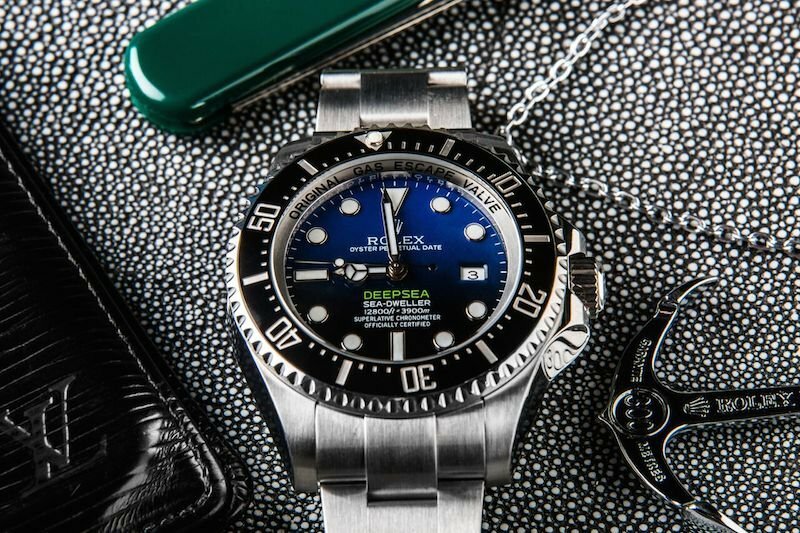 The iconic blue-to-black face that mimics the water in a real dive was extremely difficult to create — as Rolex had to forge the two colored metals together carefully. The watch is famously named after director and explorer James Cameron who worked closely with Rolex during his dive to the bottom of the Mariana Trench (you can read about the watch they created specially for that dive here). To honor the record-breaking deep-dive, the holongerie created this watch for the mass-market in his name. To own a James Cameron Sea-Dweller Deepsea is to own one of the world’s most exclusive adventure watches. Another famous deep-dive watch, the Breitling Superocean II 44 can withstand depths of up to 1,000m (3,300 feet) with an impressive security valve that equalizes the difference in pressure between the interior and exterior of the case. The oversized 44mm case is crafted with stainless steel for durability, and the black face and bezel are outfitted with luminous numerals and hands — ensuring readability at the furthest depths. 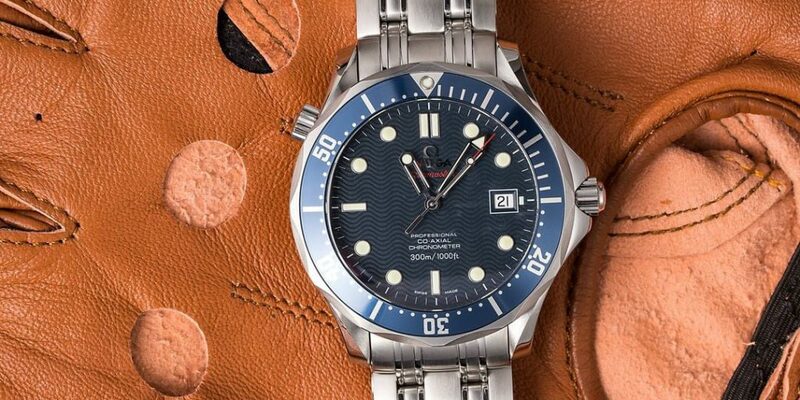 It’s also a handsome timepiece — so while you might put it on for your dive, you’ll most likely end up keeping it on long after. This watch is just as elegant as it is sporty. There’s something about that rugged, edged oversized 43mm stainless steel case that draws your eye right into the black bezel and face with bright markers. 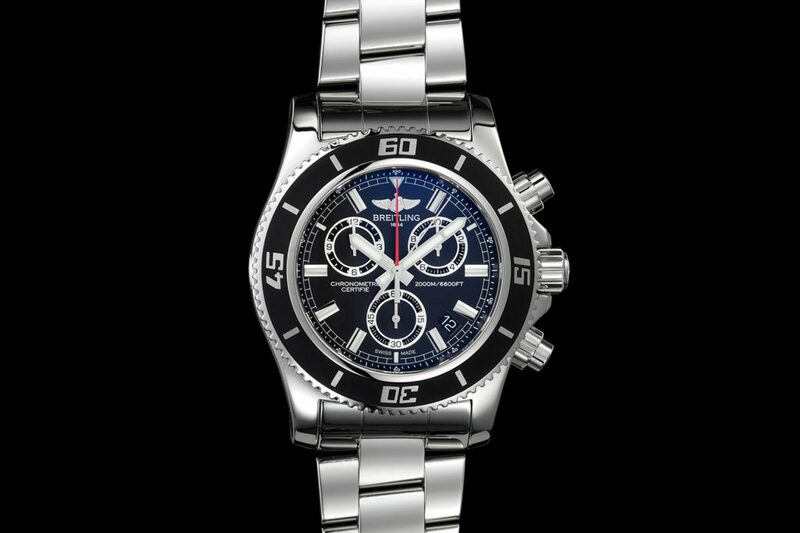 When you get past the handsome exterior you’ll not that the chronograph allows you to measure seconds, minutes, hours and the magnifying glass on top of the anti-scratch, anti-reflective sapphire allows you to keep the date, too. This watch can withstand depths of up to 300m (1,000 feet) and even boasts a 42-hour power reserve. 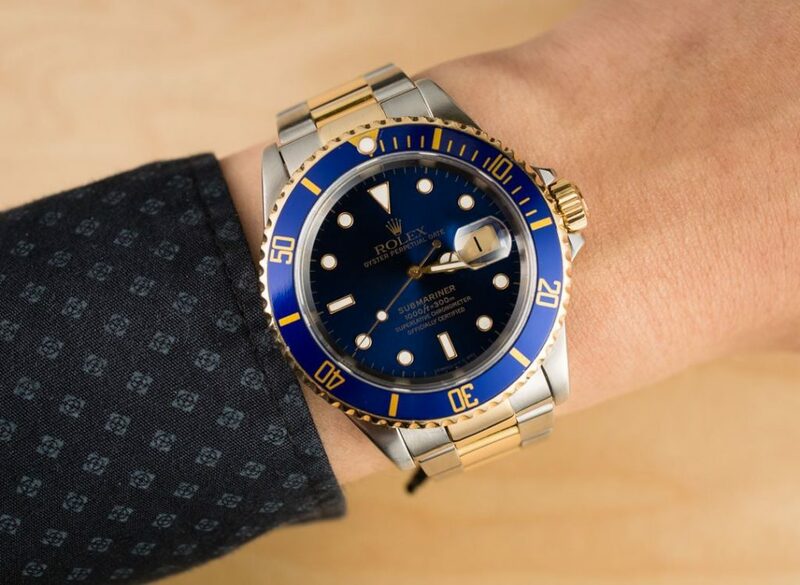 The Rolex Submariner is one of the brand’s most popular models ever made. And it’s easy to see why, right? This exquisite example of the 16613 is outfitted in a two-toned gold and stainless bracelet and case with a radiant blue bezel and face with luminous markers. Impressively, the automatic 3135 movement (with 31 jewels) is also waterproof and can withstand depths of up to 1,000 feet. 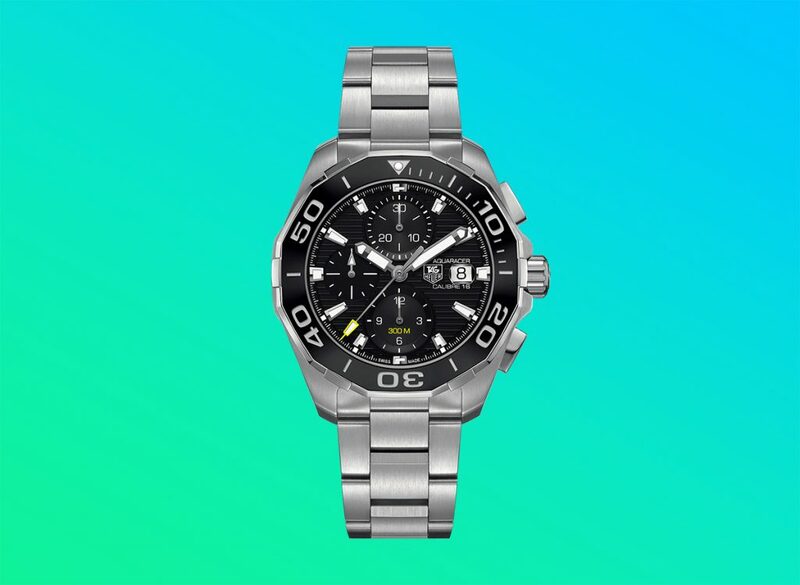 It’s a prestigious timepiece that you’ll want to sport on all occasions — underwater or not.